Ask Dr. Bassichis about rhinoplasty surgery, and he’ll tell you the truth – no two rhinoplasty surgeries are alike. 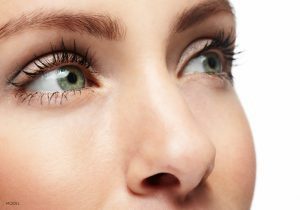 Many Dallas men and women seek out his skill to address a variety of issues of the nose, whether they be cosmetic or functional, meaning they are issues that interfere with breathing. Commonly, patients visit Dr. Bassichis for an initial rhinoplasty surgery consultation to ask if the surgery can address their nostrils, often desiring to make them smaller when potential patients feel their nostrils are too wide. This is definitely something that Dr. Bassichis can address with this elective plastic surgery procedure. While you may think that reducing the size of wide nostrils is a relatively easy procedure, it’s actually something that requires a careful patient evaluation, an individualized treatment plan, and a lot of skill and technique. While Dr. Bassichis understands that Dallas residents with wide nostrils may want to significantly reduce them, he cautions them to be conservative with their goals. That’s because flaring nostrils are a common facial expression, and you don’t want to lose normal facial expressions and functionality just because you’ve had plastic surgery. You want your results to look natural, and make you look like the best version of you. That’s why Dr. Bassichis works so hard on compiling an individual treatment plan for you and explaining what you might expect your results to look like. All surgeries have a recovery process, and rhinoplasty surgery is no different. Usually, when you get your nostrils reduced, you’ll return to Advanced Facial Plastic Surgery Center to have your stitches removed. You’ll likely experience redness in the treatment area for the first two weeks post-op, as well as swelling for the first three weeks after your surgery. This is normal and to be expected. You can resume your normal day-to-day activities the day after your nose reduction rhinoplasty surgery, though many Dallas patients prefer to take two weeks off from social activities, including work or school, while they recover. If you’re uncomfortable with the size of your nostrils, Dr. Bassichis of Advanced Facial Plastic Surgery Center can help! Schedule an appointment to meet him today for an initial consultation to discuss how you can get the nose of your dreams. The appointment can be made by contacting his office in Dallas at (972) 774-1777. With rhinoplasty surgery, Dallas patients are able to resume their normal work, school or social activities the day after their outpatient procedure. Still, some prefer to stay indoors while they heal. Consider how long you’d like to stay home to recover. Most people who stay home do so for about 2 weeks. Whether you’re having a nasal hump removed or your nose narrowed, rhinoplasty surgery is going to cause bruising and swelling in Dallas patients. This is completely normal and to be expected. This is also why some people decide to take a few weeks off from work, school or social activities while they heal. We know you want your new nose now, but that’s just not how rhinoplasty surgery works. Depending on the specific procedures you’re having performed, it may take as long as 12 to 15 months for you to see your final, post-op results. Whenever you have a surgery, you need to take it easy for a while to recover. This is even true with rhinoplasty surgery, which only addresses your nose. Don’t hit your favorite area gym for at least 3 to 4 weeks after your procedure. Most Dallas patients report they aren’t in a significant amount of pain after their rhinoplasty surgery. However, it is normal to feel some stiffness, bruising and swelling the first few days after your surgery. Some patients, depending on the exact techniques performed, will also have internal nasal splints. No surgery is ever 100% comfortable. The same goes for rhinoplasty surgery. You can expect some minor discomfort after your elective plastic surgery procedure, including swelling and bruising around the face and eyes. Some patients will also experience slight bleeding from their nostrils. All of these side effects are completely normal and to be expected. It’s never a good idea to skip out on a post-op visit, especially not your first one where stitches might be removed. Keep all your post-op visits, and if you have to reschedule at the last minute, do so for as soon as possible. Remember, it’s going to take a while for your new nose to appear. While most patients experience a significant reduction in swelling within the first 4-6 weeks after surgery, it may take up to 15 months to see your final results. If you’re looking for a great Dallas are rhinoplasty surgeon, you can’t do any better than Dr. Bassichis. He has years of experience and performs the surgery on a frequent basis. If you’re ready for a new nose, then let’s get the ball rolling. Call Advanced Facial Plastic Surgery Center at their office in Dallas to schedule a consultation with Dr. Bassichis at (972) 774-1777. All plastic surgeons, especially Dallas facial plastic surgeon Dr. Bassichis, will tell you that no two rhinoplasty surgeries are the same. Everyone who desires a nose job has a different type of natural nose, and different problem area they would like to address. That’s why the surgery is so unique! Here are three of the most common reasons why you may consider getting a nose job. Many Dallas residents with a nasal hump on their nose find this natural facial features unattractive. Whether they dislike the way they look head-on or are unhappy with their facial profile, they just want this nasal hump gone for good. Rhinoplasty can help. To remove an unwanted nasal hump, Dr. Bassichis gently shaves the nasal hump down. After that, he performs a procedure called lateral osteotomy, which is the medical term for breaking your nose. While this may sound like a harsh technique, it is needed when removing a nasal hump so that the nasal bone can narrow, as well as close the open roof that is usually created when a nasal hump is shaved down. The radix is the upper part of the nose. Depending on your natural nose shape, Dr. Bassichis may choose radix grafting to add more cartilage at the top of your nose, allowing it to “start” higher up your face, giving you the longer nose shape you desire. Sometimes, patients’ noses only look short because their nasal tips are upturned. In this case, Dr. Bassichis can add cartilage to the tip of your nose, making your nose look longer. Sometimes the space between the septum and lateral cartilage need to be extended. If this is the case for you, Dr. Bassichis will use extended spreader grafts, which are harvested pieces of cartilage, to make your nose longer. These examples are just the tip of the iceberg when it comes to why patients choose to have rhinoplasty. Whether you don’t like the aesthetic look of your nose or think you have a functional issue that could be resolved surgically, Dr. Bassichis would love to consult with you. To schedule an initial appointment, call our office in Dallas today at (972) 774-1777. Will Rhinoplasty Surgery Fix the Bulbous Tip of My Nose? Reducing the width of their nose. Shaping the tip of their nose. Extending the tip of their nose. In some cases, even a slight change can drastically improve your nose and the overall appearance of your face. Your facial plastic surgeon will review possible treatment options and guide you through a consultation to determine the best approach to your rhinoplasty. How Will Rhinoplasty Fix My Bulbous Nose? Desired result: Shape, size, and width of your nose. Overall appearance: Your nose should strengthen and enhance other facial features. The optimal size will vary based on the patient. Problem addressed: Having a bulbous nasal tip can mean a variety of things. Each patient will require a unique approach that suits the individual situation. During a consultation, you will have the opportunity to discuss your concerns and receive answers to questions that you have about your rhinoplasty. You should always go in for a consultation before deciding on the facial plastic surgeon that’s right for you. 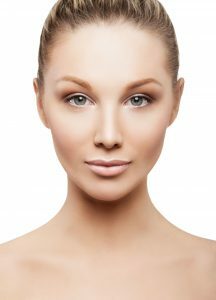 The techniques we use at Advanced Facial Plastic Surgery Center are tailored to each patient’s needs. Cartilage can be added for patients who feel that their noses are too flat. Excess tissue can be removed from the nose if a patient finds a nose is too wide. We encourage you to come in for a consultation to find out more about how we can help you. To schedule your rhinoplasty consultation, call our Dallas office at 972.774.1777. What Position Should I Sleep in After Rhinoplasty Surgery? Rhinoplasty, or nasal surgery, involves reshaping the nose for either functional or cosmetic reasons. After surgery, most Dallas patients will need to wear a nasal splint and dressing to keep their nose in the right position for healing. Dallas patients who undergo rhinoplasty often ask if a certain sleeping position will affect their result out of fear of jeopardizing their results. While it does help you to some extent, there is no evidence that changing position will affect your outcome. At least, not noticeably. Sleeping with your head propped up on pillows can help reduce swelling and relieve any congestion that you’re experiencing after rhinoplasty surgery. Most patients benefit from sleeping on their backs because they breathe better – similar to the way that it helps to prop yourself up with pillows when you have a cold. Sleeping propped up also prevents blood from collecting and causing your nose to bruise and swell. The point of a surgical dressing and nasal splint after rhinoplasty is to protect your nose from shifting while it heals. While you may feel uncomfortable if you turn to your side or stomach while you sleep, it is very unlikely to affect the results of your rhinoplasty. Even if you wake up with your nose pressed against the pillow. The only downside is that you may experience more swelling and bruising, and more discomfort, as you heal. So when you go to sleep, try to stay on your back but don’t worry if you wake up in a different position. Rhinoplasty is one of the most common procedures for teenagers. A safe and effective way to permanently reshape the nose, adolescents as young as 15 or 16 can safely undergo rhinoplasty. The reason for this age limitation is simple: that’s when your nose stops growing. Can Older Patients Get Rhinoplasty? Facial trauma. Getting hit by an object or a car accident are two of the main causes of nasal trauma. The nose can break with relatively little force and may look differently after healing. Treatment for deviated septum. Patients with a deviated septum may not experience relief with oral medication or nasal sprays. Over time, breathing problems can worsen and require a septoplasty to center the septum. Changes related to aging. Like other parts of the body, your nose changes shape as you age. Large pores, age spots, and a drooping tip are all telltale signs of aging. Dr. Bassichis is double board-certified as both a facial plastic surgeon and otolaryngologist (ear, nose, and throat doctor) with years of experience performing rhinoplasty, septoplasty, and combined procedures. He approaches each nasal surgery from an aesthetic and functional perspective to improve aesthetic appearance and breathing when needed. It’s normal for your nose to droop and develop age spots as you grow older. What surprises many older Dallas patients is how much lifting the nasal tip can change their appearance. By raising a droopy tip, injecting fat or filler into the nose, and performing laser treatments, patients can rejuvenate their face and help balance other features. To schedule your rhinoplasty consultation with Dr. Bassichis, call our Dallas office at 972.774.1777. Ask any facial plastic surgeon, like Dallas surgeon Dr. Bassichis, who is double boarded in Facial Plastic and Reconstructive Surgery as well as Otorhinolaryngology (Ear Nose and Throat Surgery), and he will tell you that rhinoplasty surgery, or a nose job, varies greatly from patient to patient. In fact, most doctors will tell you, of all their hundreds or thousands of nose job patients, they’ve never done the exact same rhinoplasty surgery twice. So, the answer to “Is it necessary to reshape or break the nasal bone during rhinoplasty surgery?” all depends on what type of rhinoplasty surgery you are having, and what type of results are you expecting. Rhinoplasty surgery, or a nose job, is typically a cosmetic procedure to change the appearance of the nose. Many people undergo rhinoplasty surgery to narrow or widen a nose, remove a nasal hump or fix a crooked nose. But, there may be functional reasons to undergo rhinoplasty surgery, too. Patients in Dallas with a deviated septum, or who are chronically stuffy, have severe nasal drip, have a birth defect or have suffered nasal trauma in the past and have breathing troubles, may elect to have functional nasal surgery to repair that damage and make it easier to breathe. While cosmetic nasal surgery is an out of pocket expense, you may be able to be reimbursed by your medical insurance for some forms of functional rhinoplasty surgery. Rhinoplasty surgery can involve a number of surgical elements. It can include the shaving, removal or breaking of the nasal bone (the latter of which is called lateral osteotomy); the removal or addition of cartilage; or adding synthetic tissues. 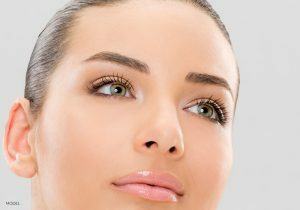 Which procedures Dallas plastic surgeon Dr. Bassichis at Advanced Facial Plastic Surgery Center will choose for your rhinoplasty surgery will depend on your unique case and desired results. Why Would My Doctor Need to Reshape My Nasal Bone or Break My Nose? There are many reasons that Dallas Dr. Bassichis may need to reshape your nasal bone or perform lateral osteotomy. First, is to remove a nasal hump. When removing a nasal hump, the hump portion of the nasal bone is typically shaved down, and then breaking of the nose may be necessary to narrow the nasal bone and close the “open roof” that is created by the shaving procedure of the hump reduction. Often when removing a nasal hump, if the nasal bone isn’t broken, the resulting nose will appear too wide. Second, a nasal bone may be shaved or broken to narrow down a wide nose. Finally, lateral osteotomy may be performed to fix a crooked nose, so the nasal bone can be realigned into a straight line, giving you a more pleasing aesthetic appearance. When is Reshaping My Nasal Bone Not Necessary During Rhinoplasty Surgery? As we’ve mentioned before, no two rhinoplasty surgeries are alike. Just because you are having rhinoplasty surgery, doesn’t mean that you will need to have your nasal bone reshaped, shaved or broken. In fact, if you are having tip work done alone, which includes your cartilage, or are having uneven nostrils either widened, narrowed or made more symmetrical, no nasal bone work is even needed. I Want Rhinoplasty Surgery. What are My Next Steps? If you’re ready for rhinoplasty surgery, you should call Dr. Bassichis in his Dallas office for a consultation at (972) 774-1777. During your consultation, Dr. Bassichis will listen to what bothers you about your nose and make sure that you have realistic expectations for rhinoplasty surgery. How Will Rhinoplasty Affect My Allergies After Surgery? Many people with nasal allergies wonder if a rhinoplasty, or nose job, as it is commonly called, will improve or eradicate their allergies. While Rhinoplasty itself is not a surgical option for curing nasal allergies, if you have rhinoplasty performed by a double board certified plastic surgeon in Facial Plastic and Reconstructive Surgery as well as Otorhinolaryngology (ear, nose and throat surgery), like Dallas surgeon Dr. Bassichis at Advanced Facial Plastic Surgery Center, you may find that functional changes to the nose may make it easier to breathe. Read on as Dallas surgeon Dr. Bassichis explains what rhinoplasty is, the cosmetic and functional benefits of rhinoplasty and how this surgery may or may not affect your allergies. Rhinoplasty is a type of plastic surgery to improve the shape of the nose, its function or both. There are two types of incision options for rhinoplasty; with a closed procedure, incisions are hidden inside the nose; with an open procedure, an incision is made on the columella (the part of the nose that separates your two nostrils). Whichever incision type your plastic surgeon chooses, these incisions allow for the nose skin and cartilages to be gently raised, which ultimately results in the reshaping and sculpting of the nose to your pre-selected, desired look. 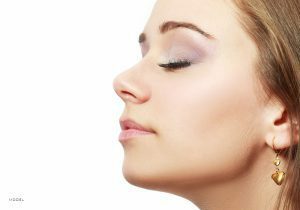 What are the Cosmetic Benefits of a Rhinoplasty? An oversized nose by removing bone and cartilage. A hump on the bridge of your nose, by gently rasping down the hump. The nasal tip, by changing the arched lower lateral cartilages. 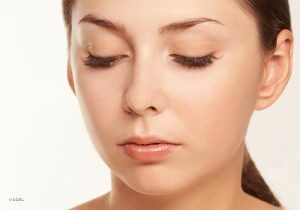 Nostrils that are large or wide, by focusing on reshaping your nasal symmetry. Your overall facial look, by providing you with a nose that is proportional to the rest of your facial features. Ultimately, the cosmetic goals of a rhinoplasty are to give you balance and harmony on your face and your profile. What are the Functional Benefits of a Rhinoplasty? In addition to the aesthetic benefits of a rhinoplasty, there are functional benefits to the surgery, too. A rhinoplasty can correct issues that lead to breathing problems – such as a deviated septum and chronic stuffiness – and even post-nasal drip and snoring. If you are getting rhinoplasty for functional benefits to improve your breathing, it’s possible that your medical insurance may reimburse you for some of the cost per surgery. Be in good medical and psychological health. Have completed facial growth, meaning that a rhinoplasty is not ideal for young children. Be a non-smoker, or willing to quit at least two weeks before and two weeks after your surgery, so as not to complicate the procedure or your recovery time. If you’re considering a rhinoplasty for cosmetic and/or functional issues, you should schedule a consultation with Dallas plastic surgeon Dr. Bassichis. Call his Dallas office today at (972) 774-1777. Is Septoplasty an Effective Treatment for Sleep Apnea? In its worst form, sleep apnea is a condition that threatens the lives of many Dallas patients. Septoplasty is the most effective and permanent way to stop the symptoms from affecting their quality of life. Septum: Separating the right and left sides with a wall of bone and tissue, if the septum is skewed off-center then it has the potential to cause breathing trouble. A septoplasty can adjust the position of the nasal septum, eliminating the cause of sleep apnea. Turbinates: On the bottom left and right of the nostrils, the areas of tissue that flare out to the side are called turbinates. When too large, they can prevent airflow and lead to sleep apnea. A septoplasty reduces the size of the turbinates, restoring a normal flow of air and reducing the chances of developing sleep apnea. Nasal valve: The upper bridge of a nose that narrows significantly is known as the nasal valve. When the nasal valve is too narrow, air cannot pass through and breathing is obstructed. A plastic surgeon can use cartilage to rebuild the nasal valve so that air can pass unobstructed. During a consultation, Dr. Bassichis will explain the method of surgery recommended for your form of sleep apnea. In some cases a combination of these procedures will be used to remove all breathing obstructions for increased patient comfort. The standard recovery time for a septoplasty is a few weeks. It is especially important to rest during this time and anticipate spending at least a week home from work, while sticking to mild activity. This will reduce the chances of swelling or any complications from arising after surgery. It will also give the best opportunity for the nose to heal without risking damage to this site. Holding off on strenuous physical activities such as running or sports for an average of two weeks. Applying ice or frozen peas to the area around your nose to reduce swelling and minimize bruising. After a few weeks it will be difficult to tell that you’ve even had surgery, however a full recovery from surgery can take up to a year.